FOFriday 8-18-17 — Knit'n Kitten Fiber Arts, Inc. 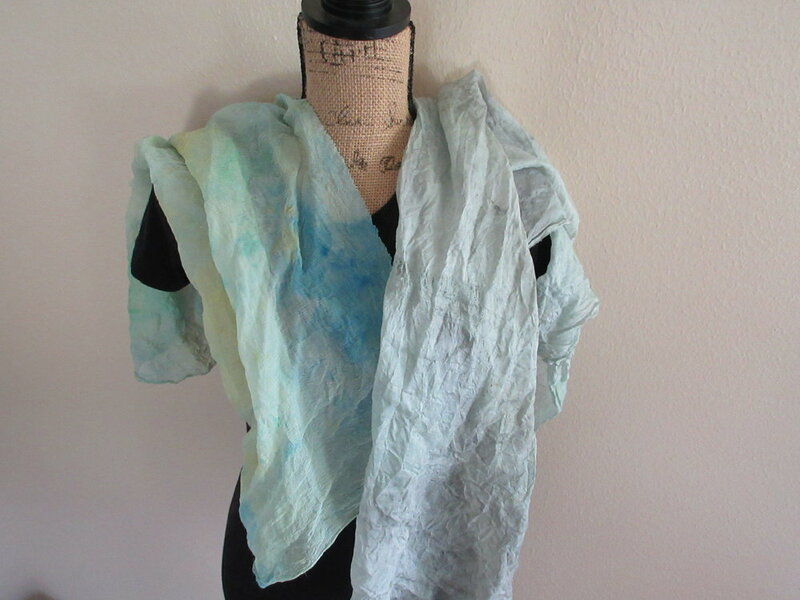 These pieces of waste silk were colored with the paint left in the cups after the most recent pour. The one on the left was colored by scrunching up bits and wiping the loose paint out of the cups and the one on the right was dyed by adding water to the cups after that and then pouring the tinted water over the fabric. These will probably be used as "sandwich" surfacest o be filled with textile and yarn scraps and then stitched over. The repair with wall compound seems to have worked. I mixed the compound with a little gold paint, but it wasn't enough to show. 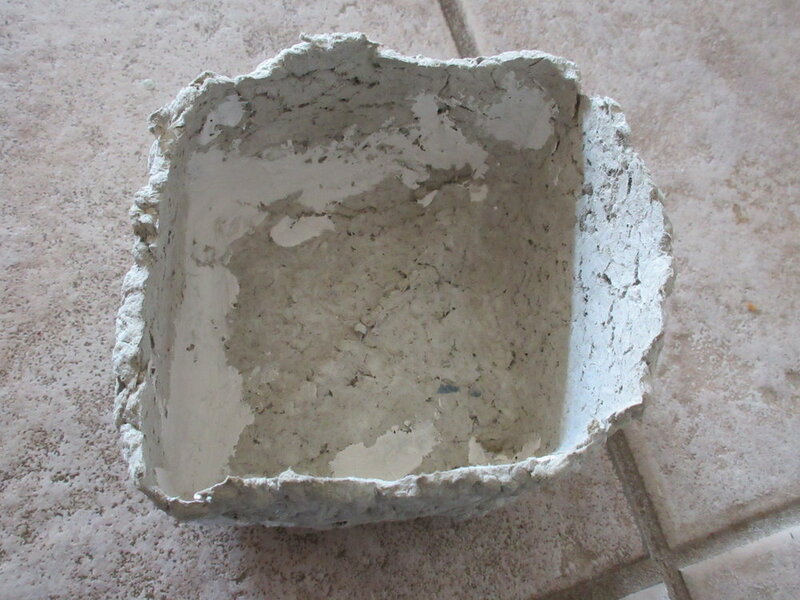 There was also a complete, or apparently so, bowl but when I picked it up for the photo the top edge crumbled. I'm not sure if it wasn't as dry as I thought or if the additional wall compound in the mix actually made the item *less* strong.